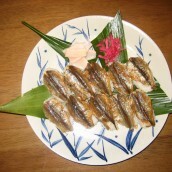 “Hiruzen okowa” is a local dish of Hiruzen area, located in the Northern part of Maniwa city, Okayama prefecture, near the border to Tottori prefecture. 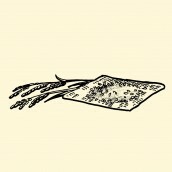 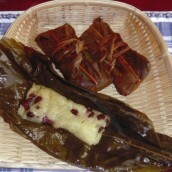 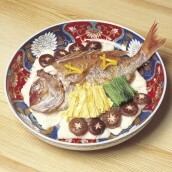 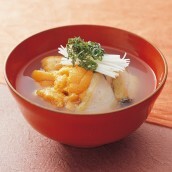 It is an essential dish for festivals and celebrations in Hiruzen. 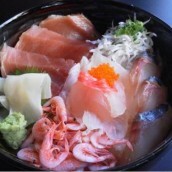 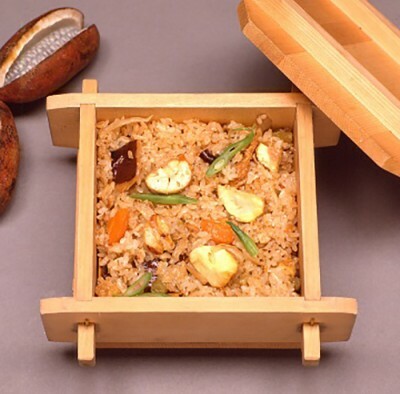 It is said that its origin was when people were cooking festive red rice, they added the ingredients for chirashi sushi by mistake together with red beans and it turned out as a delicious okowa. 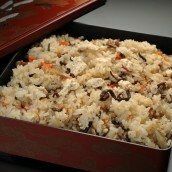 Each household has different ingredients, but glutinous rice with chicken, deep fried tofu, shiitake mushrooms, burdocks, carrots, red beans, chestnuts and gingko nuts are popular. The rich taste of the ingredients and the soy sauce flavor make an elegant okowa.